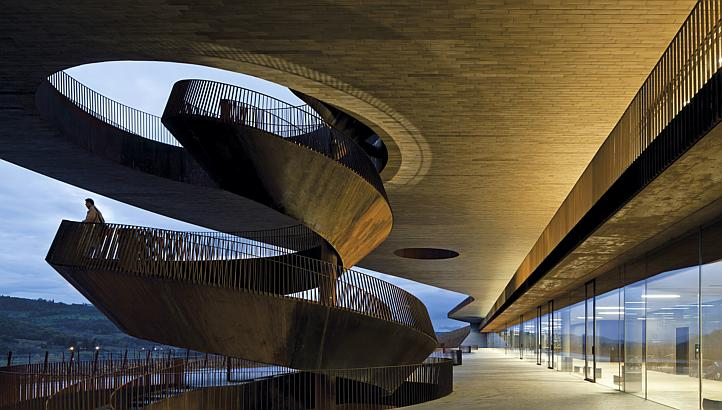 Buried underground and nearly invisible to the eye, the Marchesi Antinori Chianti Classico Cellar just north of Florence is introducing a new wave of architecture by using a design that merges delicately with nature. Every act in the building process of this state-of-the-art winery has considered the surrounding natural environment as a sacred responsibility to nurture and embrace. The results, the accomplishment of an eight year long project, is dynamic. This Hobbit-style complex embraces sustainability and green thinking on a grand scale, making it very unique in a world of mindless progress. Located halfway between Florence and Siena, the Marchesi Antinori Chianti Classico Cellar lies in the Bargino countryside of the Chianti Classico region. Tours are available of the cantina and tickets can be purchased from Select Italy. The Florence based Antinori family has been producing wine for over 600 years, spanning 26 generations. Their desire to perfect the entire production process and to achieve excellence inspired them to create their new wine cellars, where they have relocated their offices from the family palace in the city center of Florence. 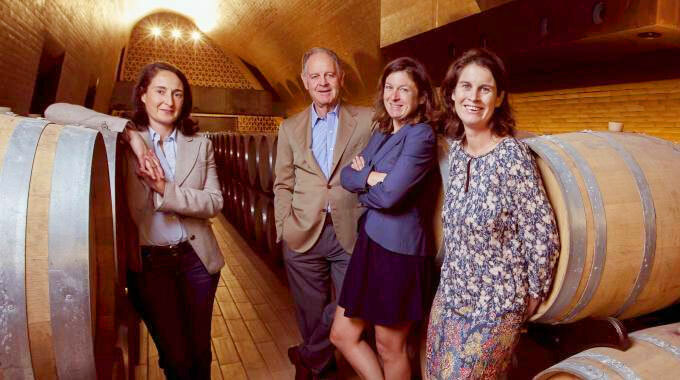 The Antinori empire is run by Marquis Piero Antinori and his three daughters Albiera, Allegra and Allesia. (Read my earlier post here which talks more about the Antinori Sisters). Vines grow in neat rows across the roof of the entire linear building, cultivated to blend with the surrounding vineyards. Two long horizontal cuts made of large planes of concrete in the side of the hill, which is the facade, lets light into the interior while giving those inside a panoramic view of the Chianti landscape laid out before them. Circular cuts in the roof are without glass but let light into the floors below, harnessing the sun’s natural illumination. The soul of the structure, while predominately supported by Cor-ten steel, is made up of brick, marble, stone and wood. Corkscrew Spiral Staircase from parking garage up to the terrace. The Cantina sits on nearly 35 acres. Some 17,000 piles were driven into the unstable ground to support the construction. Afterwards, the dirt hill was restored on top of the complex, creating a gentle and natural slope to the land. Inside the magnificent structure, towering walls and lofty heights show off the light-filled work of contemporary design. Taking up nearly 129,000 square feet, most of which is concealed underground, the complex consists mainly of two floors. 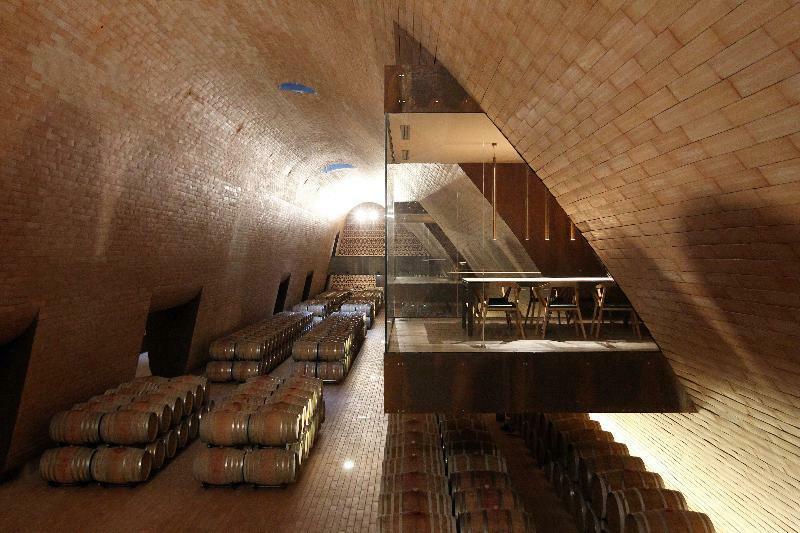 Wine production takes place in the lower areas, wrapped in locally obtained terracotta vaults that help maintain the ideal temperature for fermentation. Grapes grown in the adjoining vineyard are crushed at ground level, then piped down to vats for fermenting entirely by gravity, without the need for electrical equipment. The top floor encompasses a restaurant, auditorium, museum (with Leonardo’s wine-press), library, wine tasting areas and a shop. 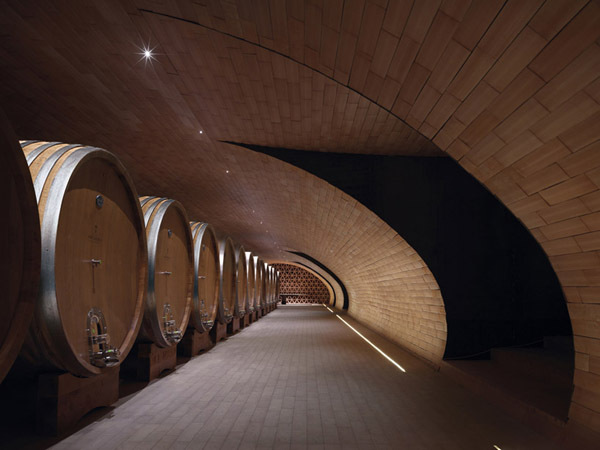 Marchesi Antinori Chianti Classico Cellar, with its futuristic design and forward thrust of becoming one with the environment, is making waves in the wine community. Let’s all hope this is the dawning of a new age to come. 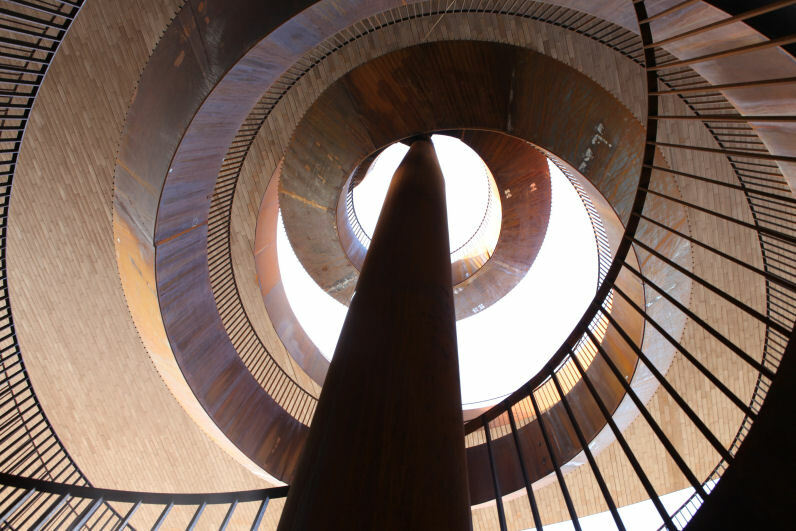 To purchase tickets for a tour of the Marchesi Antinori Chianti Classico Cellar, click here. A winery tour to a whole new (whoa!) level! Fine, fine, fine architecture … for a winery. And no electrical machinery in making the wine …. awesome! Very nice share. Wow, you chose the right word to sum up this place – absolutely spectacular! Thanks for spreading the word on this architectural landmark. My pleasure Karen. It is truly one of its kind. Hi Susan! Fab place…..as always, lovely photos too….I also like the look of your site! Buona domenica…. Diana, good to hear from you! Thanks for checking in…I hope the new site looks good. I am known to have strange taste sometimes:) Anyway, Buona Domenica! How very unexpected for this area. It almost looks out of place. It sure is fascinating. Yes, very state-of-the-art. I was amazed with the fabulous architecture. This is a wine family that has carried on the tradition since the 1400’s. They have built up a dynasty, so to speak. Great photos – looks like a really cool winery! It is. I took a tour through it last September. It was very state-of-the-art. One of a kind! Thank you! Beautiful winery — can only imagine what it tastes like. I especially loved the architect’s design and desire to work with the environment. Hope it’s a model for future architecture in other building projects as well. Thank you, Pat. I feel the same way as you do. We are about to tour it in another week so I will have more to share. I’m in Napoli at the present. You’re welcome, Susan, and hope you’re enjoying Napoli. Must be a beautiful place this time of year. It sounds heavenly to me. I look forward to hearing about your tour. & rent Ferraris, Maseratis, Bentleys, Lambos for Tuscan country drives aside wine & food sales. & need shipping center to ship wines worldwide. Yes, great idea!!! I’m sure this Cantina opens the door for precisely these kinds of tourism options.